Section 3 is a provision of the Housing and Urban Development (HUD) Act of 1968 that helps foster local economic development, neighborhood economic improvement, and individual self-sufficiency. The Section 3 program requires that recipients of certain HUD financial assistance, to the greatest extent feasible, provide job training, employment, and contracting opportunities for low or very low income residents in connection with projects and activities in their neighborhoods. How does Section 3 promote self-sufficiency? Section 3 is a starting point to obtain job training, employment, and contracting opportunities. From this integral foundation, coupled with other provided resources comes the opportunity for economic advancement and self-sufficiency. How does Section 3 promote home ownership? Section 3 is a starting point to homeownership. Once a Section 3 resident has obtained employment or contracting opportunities they have begun the first step to self-sufficiency. Home ownership is achievable. For more information visit the HUD website. 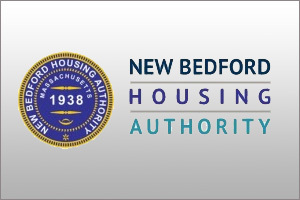 Section 3 residents are: public housing residents or persons who live in the area where a HUD assisted property is located and who have a household income that falls below HUD’s income limits. Low income is defined as 50% or below the median income for that area. Very-low income is defined as 80% or below the median income for that area. Recipients of HUD financial assistance will award the economic opportunities. They, and their contractors and subcontractors, are required to provide, to the greatest extent feasible, economic opportunities consistent with existing Federal, State, local laws, and regulations. Who receives training under Section 3?